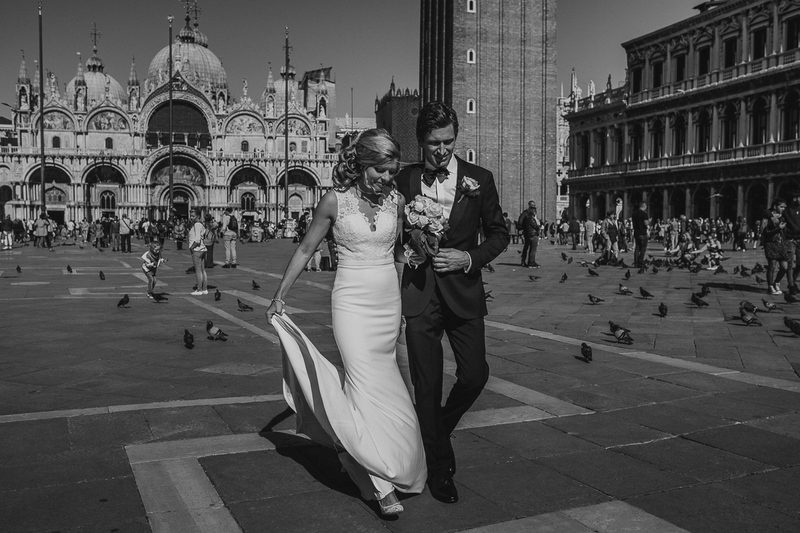 Intimate wedding in Venice, Lindsey & David – San Marco – A very intimate wedding the one of Lindsey and David from San Diego. 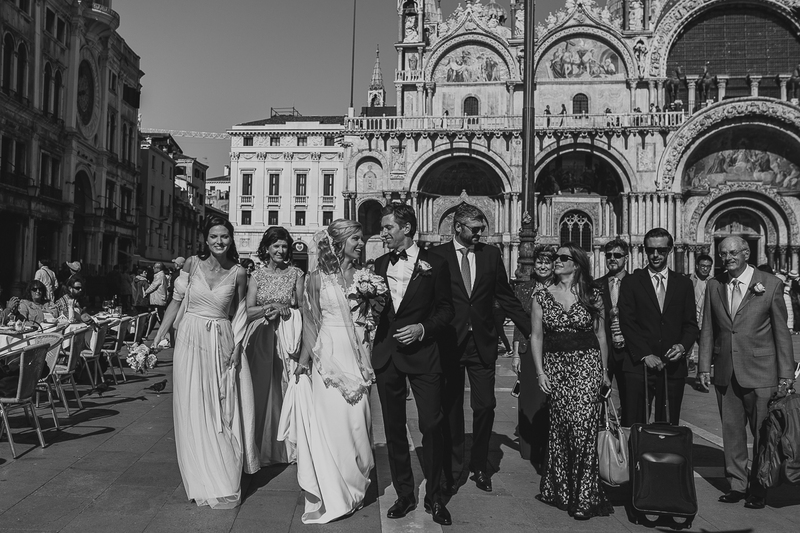 Only families and a few friends to share their happiness of start a new life together. 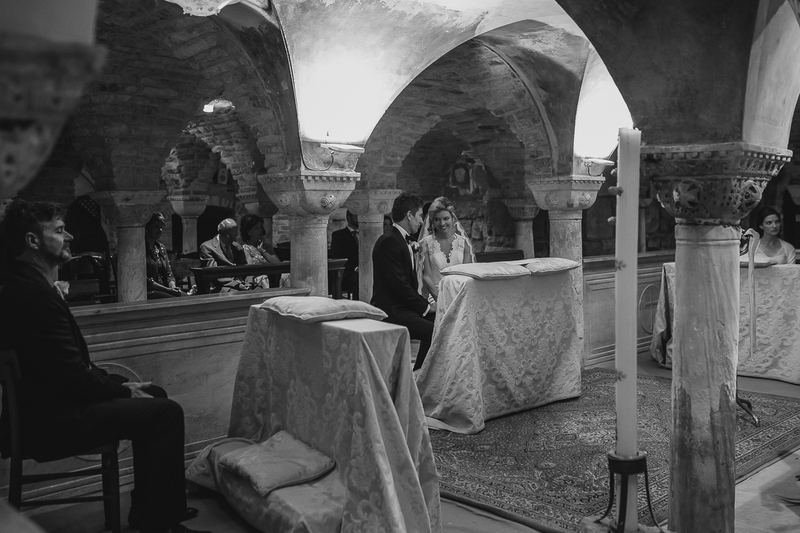 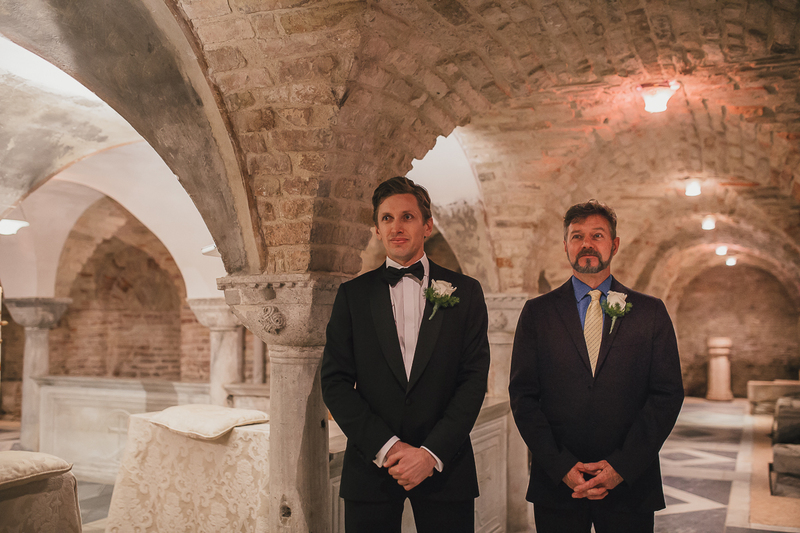 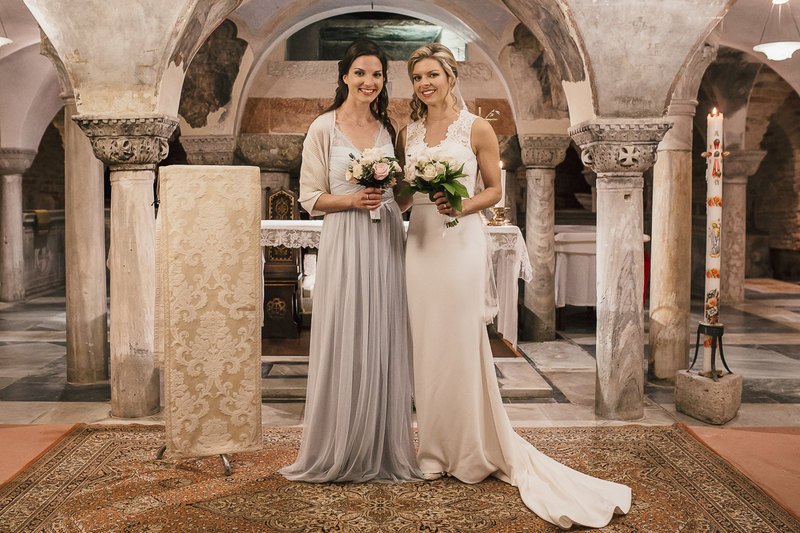 They couldn’t have a most intimate ceremony than the one in San Marco chapel, a romanic treasure in the beautiful San marco Church. 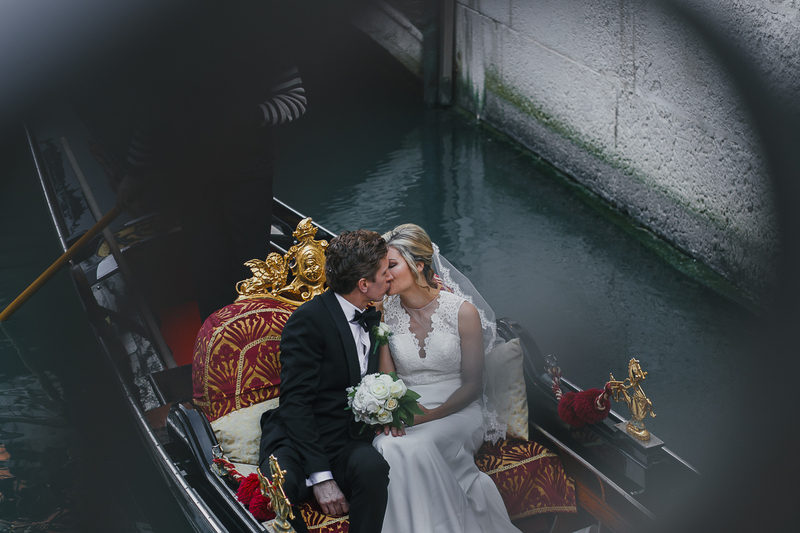 Thanks to a sunny day, we spent some time together walking through the streets, up and down on the bridges and of course, on the gondola as well! 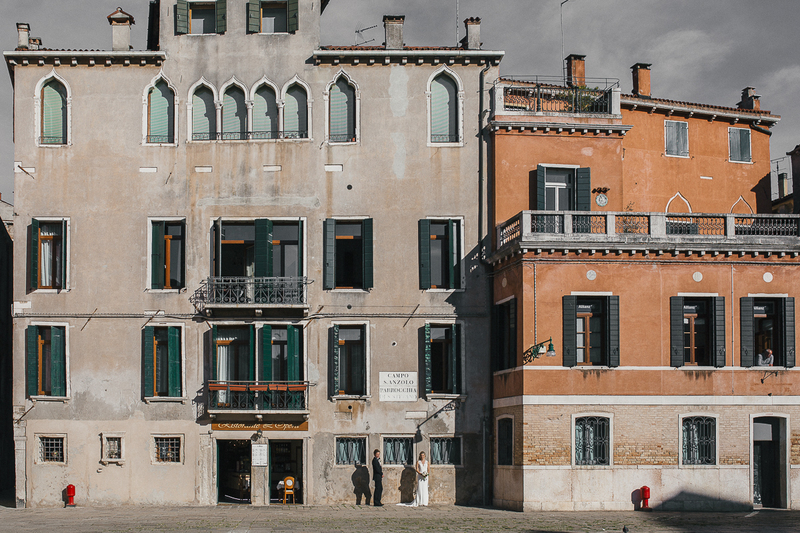 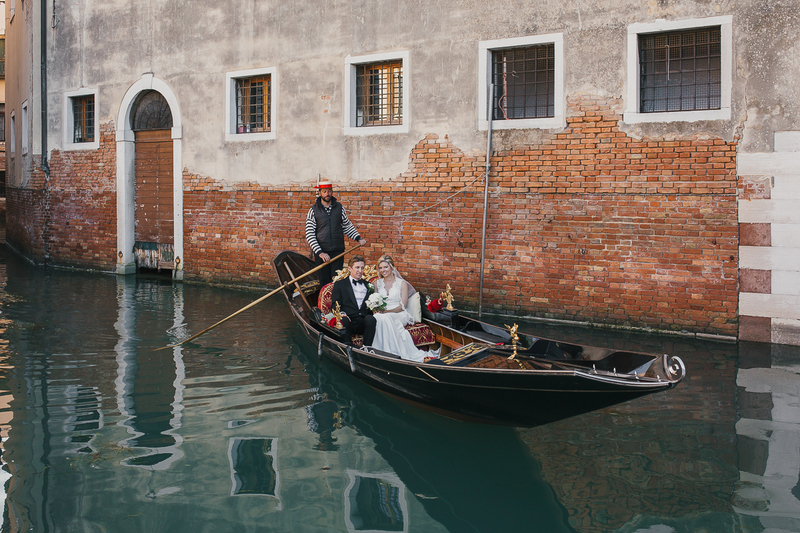 As romantics looking to have an intimate wedding with family, we couldn’t think of a better place than Venice. 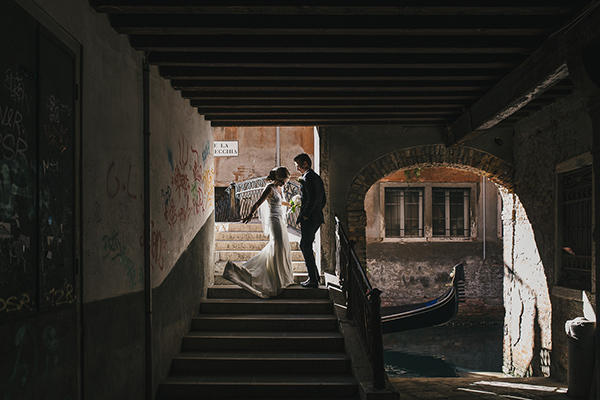 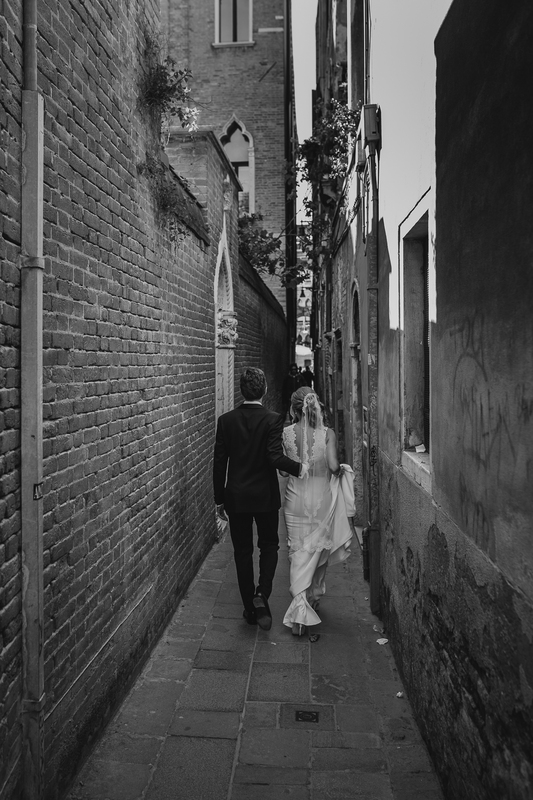 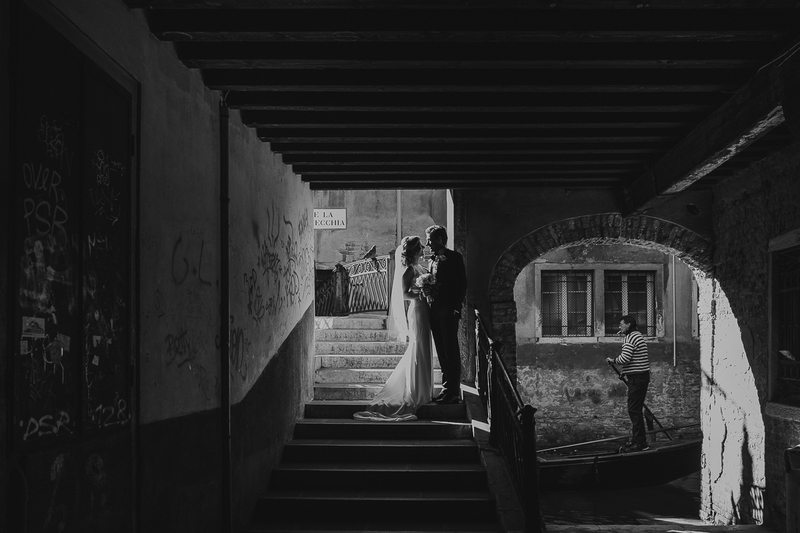 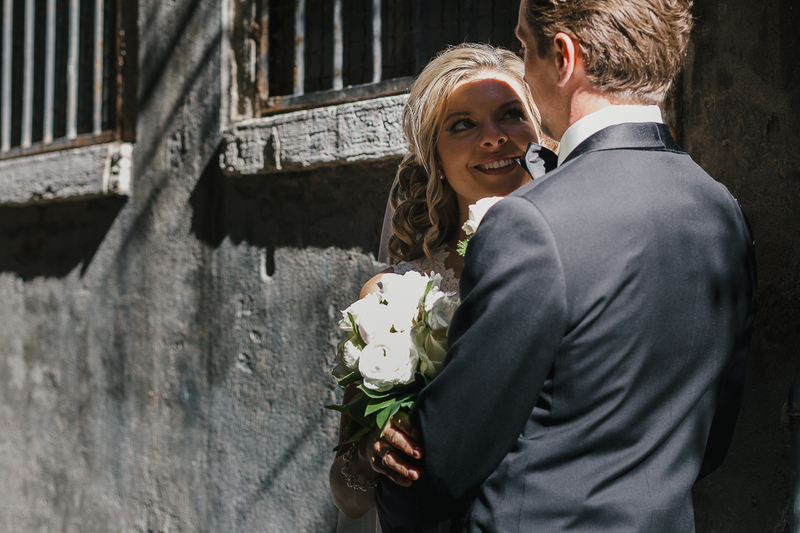 Our wedding visit was our first to the city – when we arrived we found the canals and winding alleys even more enchanting than we had even imagined. 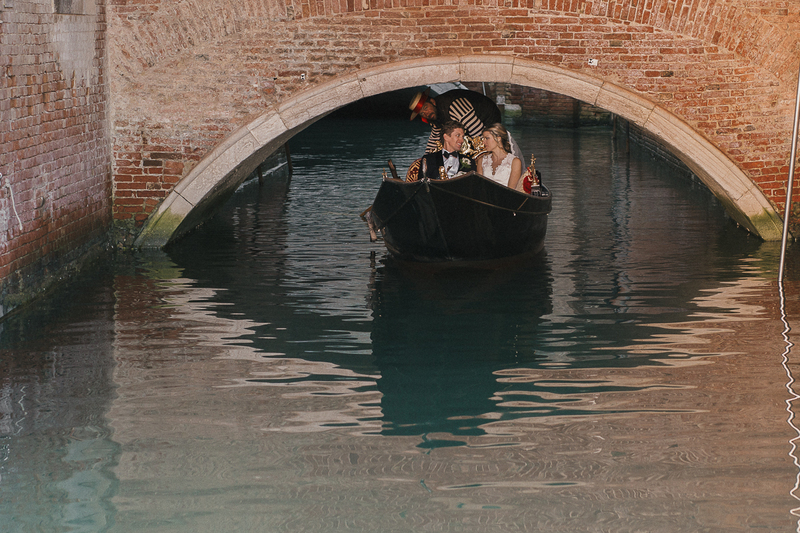 The sounds of the gondoliers, the sunsets and the waterways were all a cinema-like backdrop to our day. 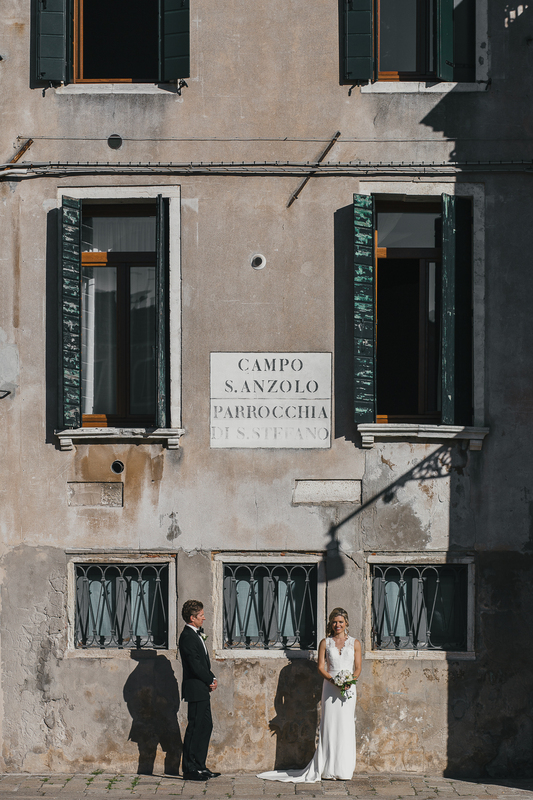 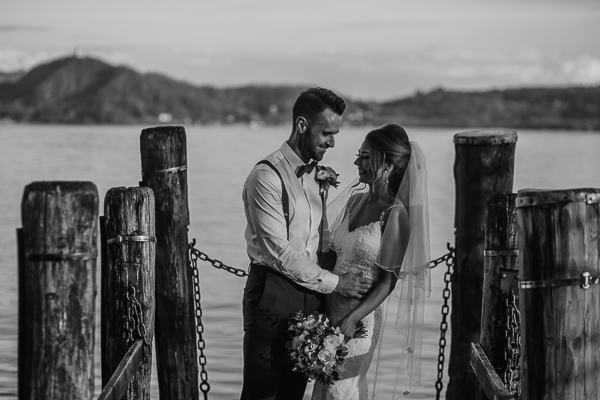 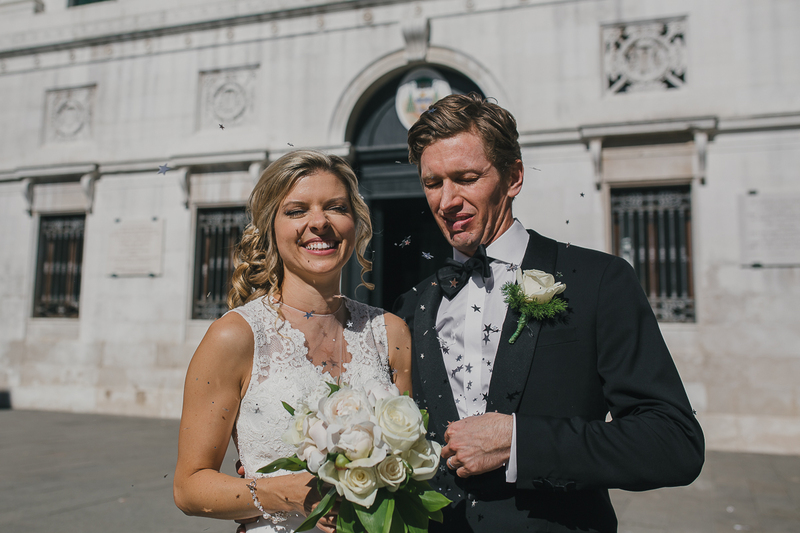 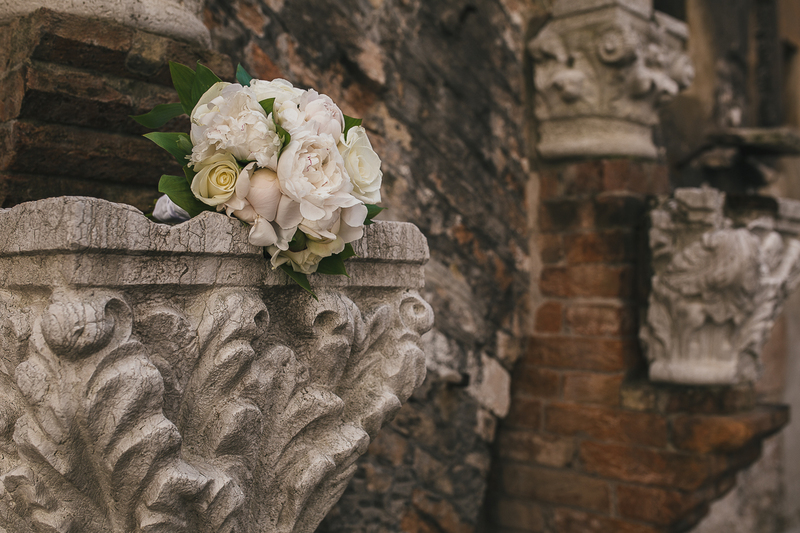 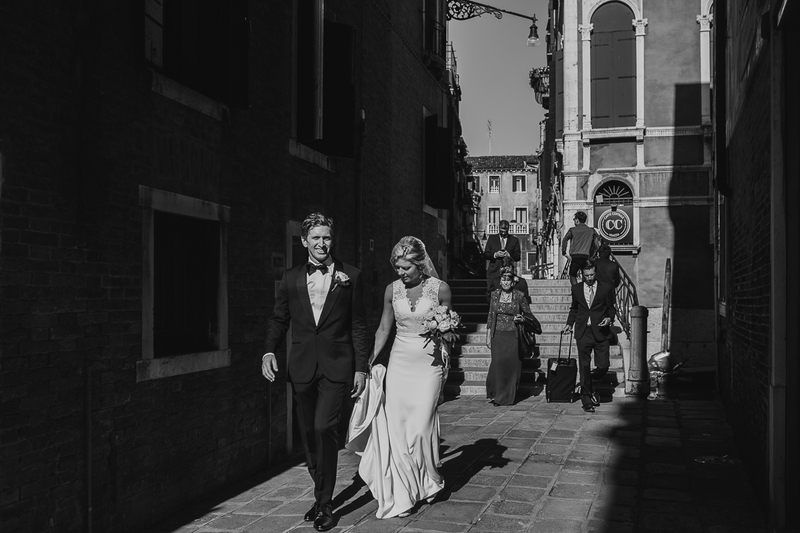 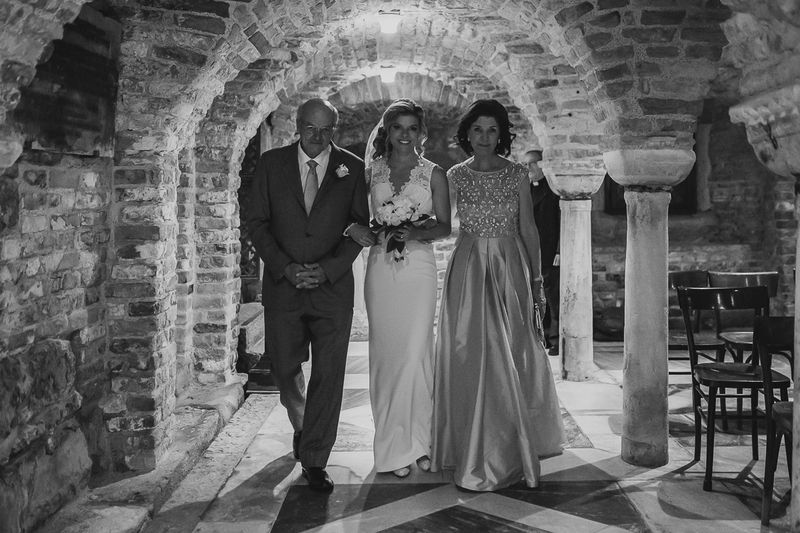 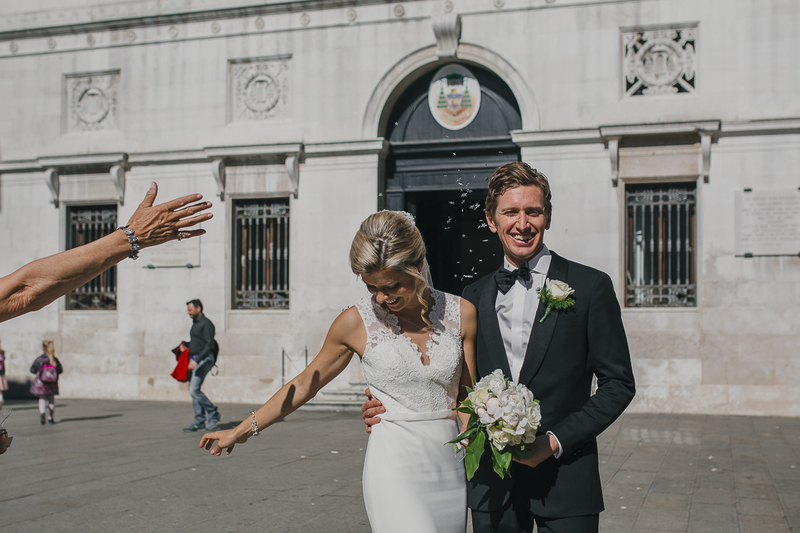 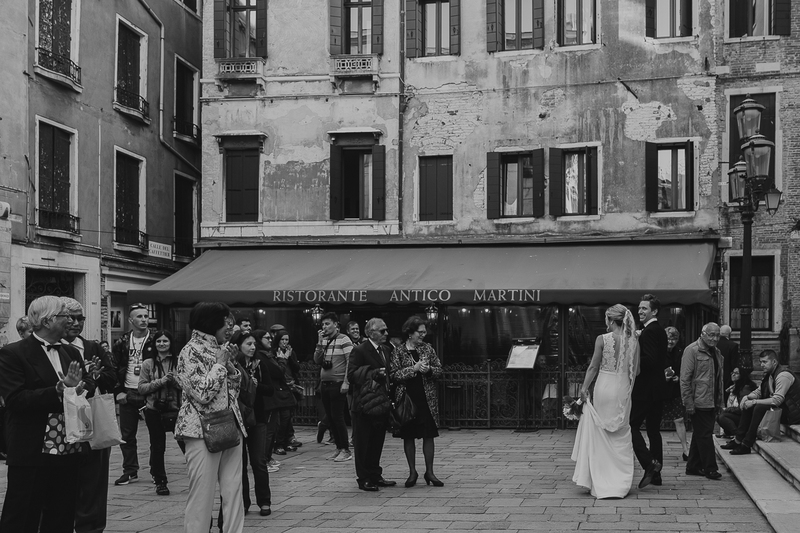 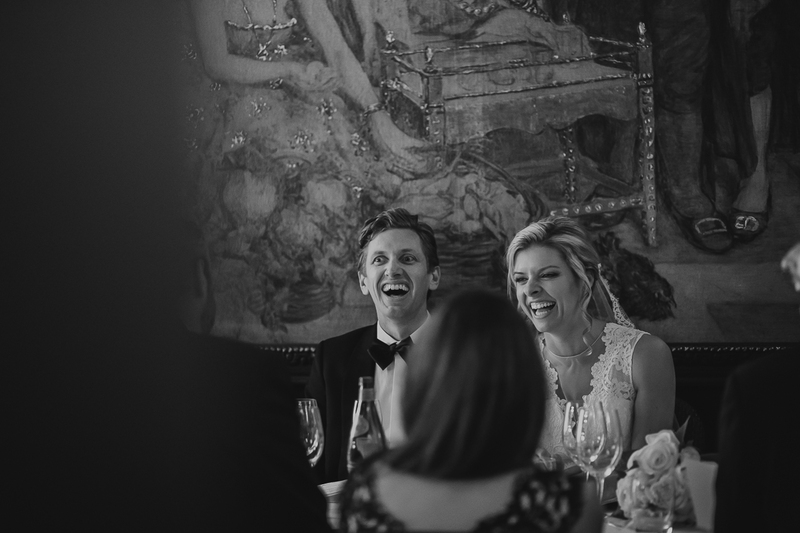 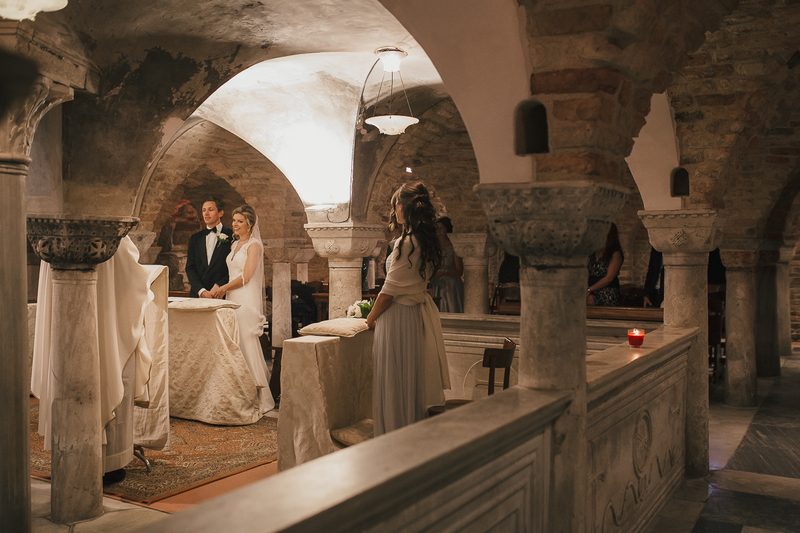 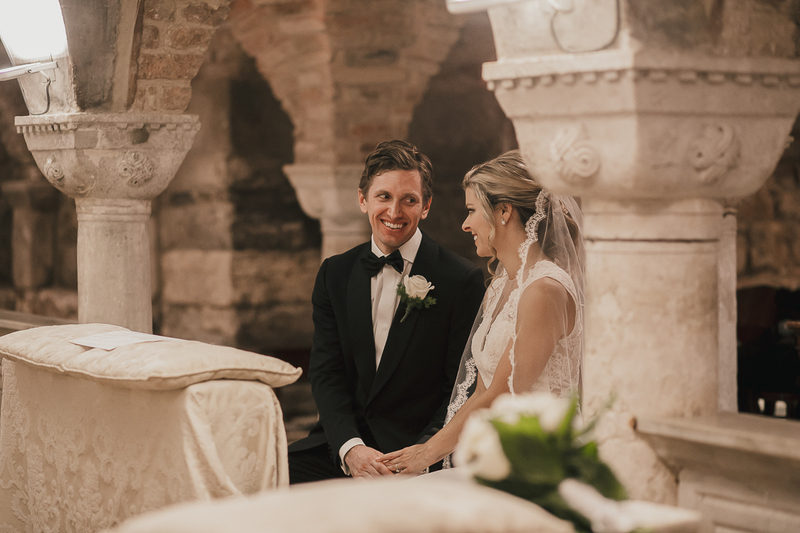 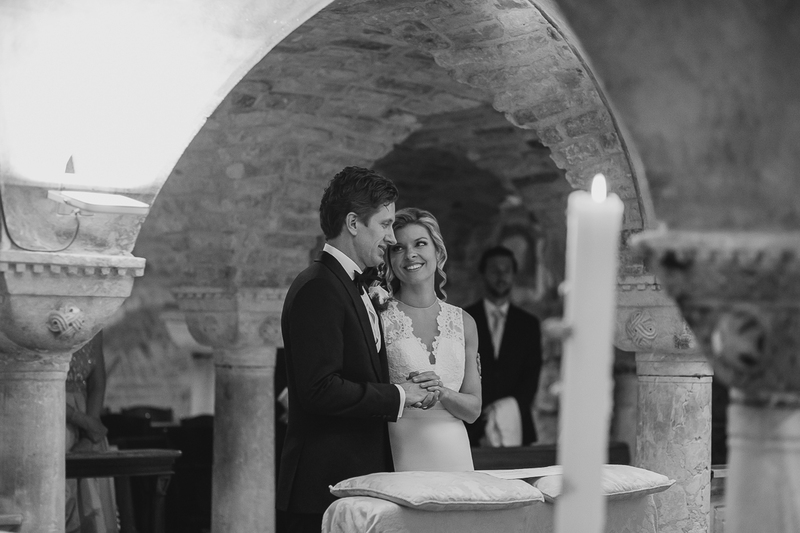 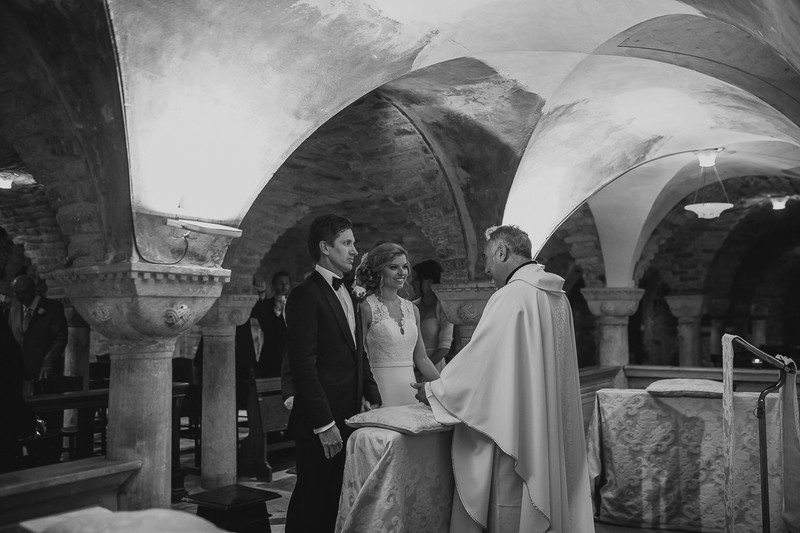 Being married in San Marco was the most important moment of our lives so far… imagine our excitement when we found all of our feelings and magic captured by Moumou Photography! 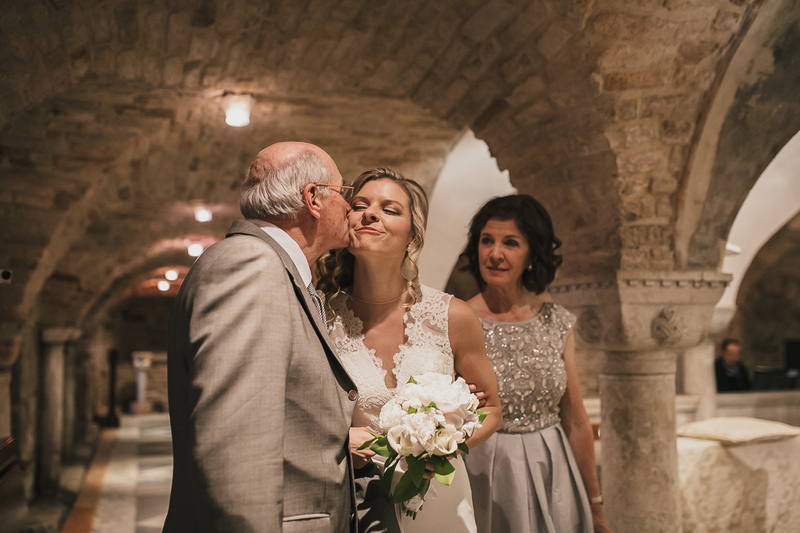 Working with Moumou Photography all the way from California was so easy – from our initial email to the final photographs – Chiara is a natural artist with a talented eye. 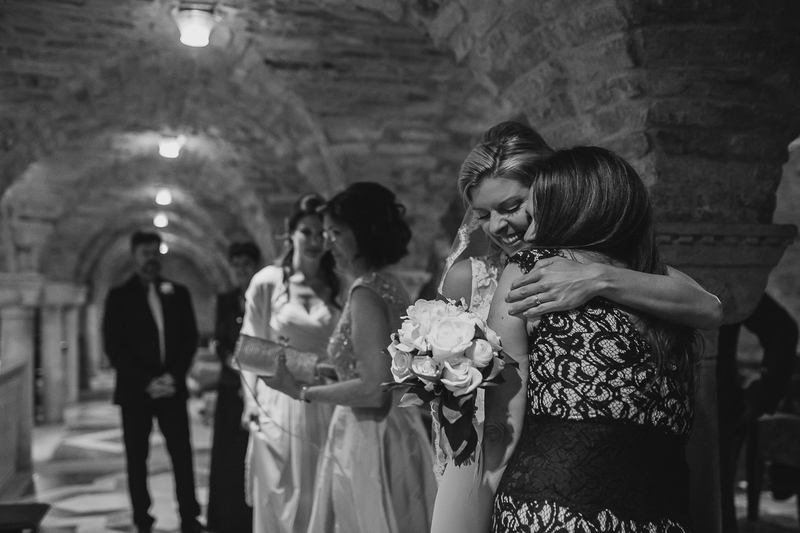 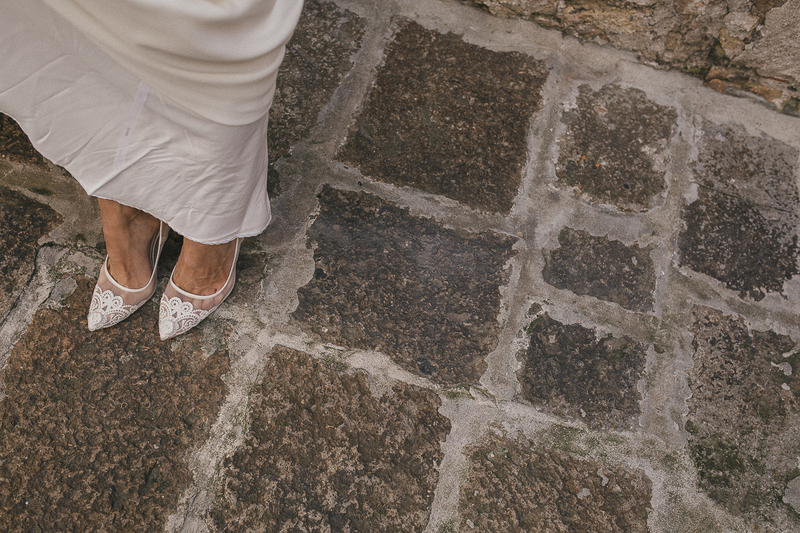 Moumou Photography’s style is effortless and we loved every moment of our wedding. 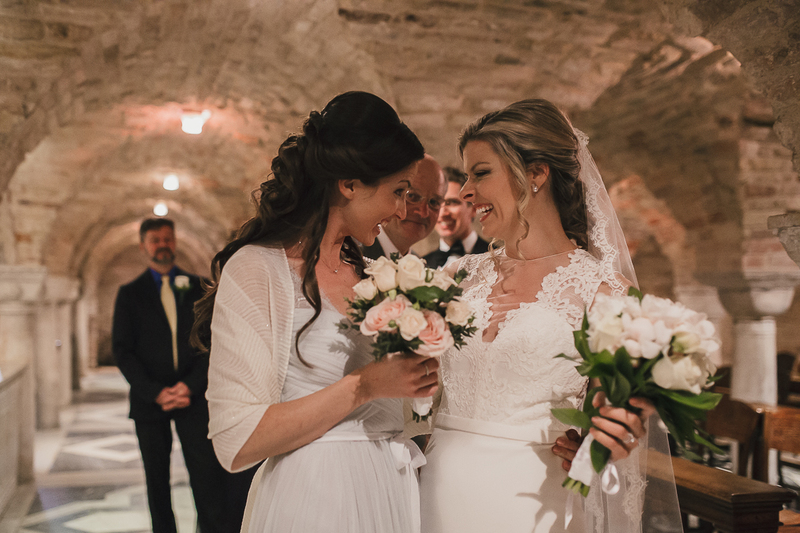 We can’t imagine our day without Chiara by our side! 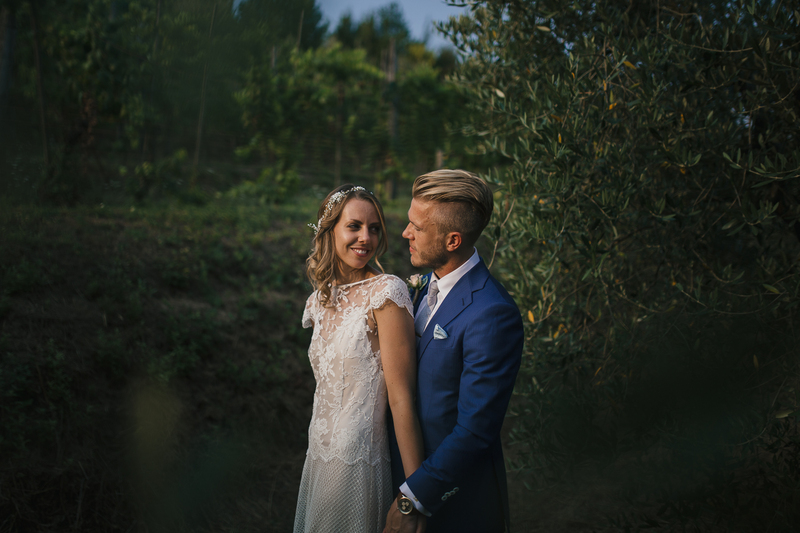 Thanks guys for your lovely words, we really wish you nothing but the best!